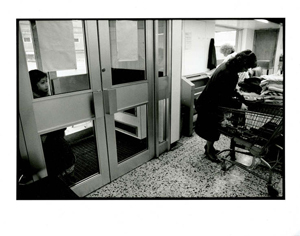 Artist talk: Alan will give an overview of his work on Sunday 18th January at 2.30pm. 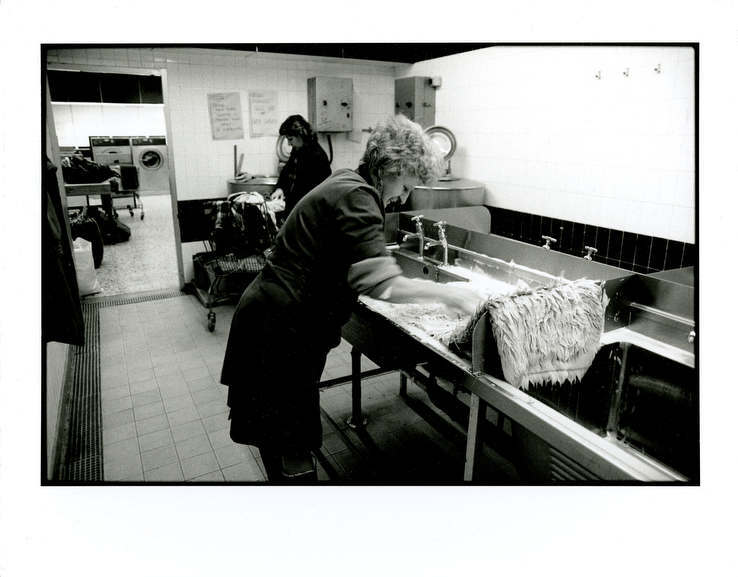 The last days of the public wash-house in Glasgow, as captured on camera by photographer Allan Bovill. 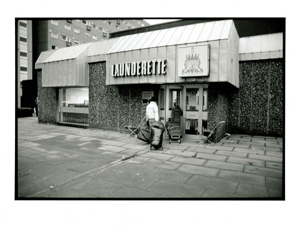 Glasgow had many public laundries and bathhouses, known as 'Steamies'. 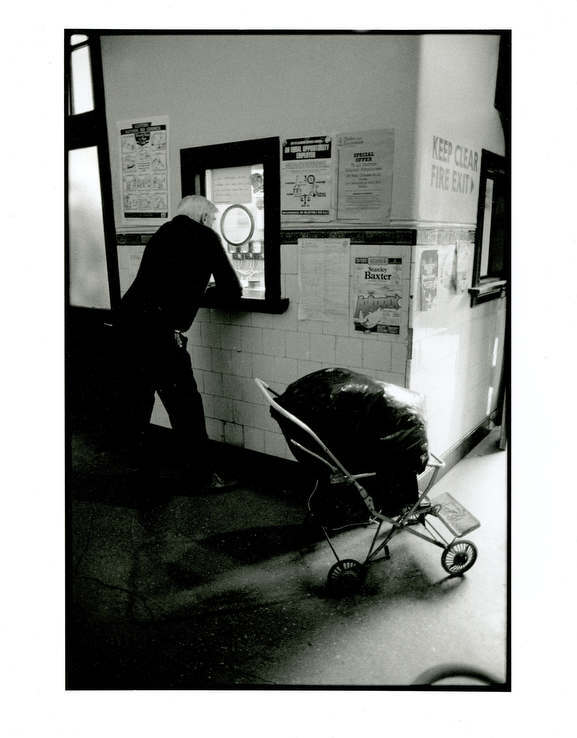 They were established in the 18th Century and operated until the mid-1990s, when the steamies closed their doors. The council-run laundries provided washing facilities and baths when few houses, particularly in the 19th Century, had either. 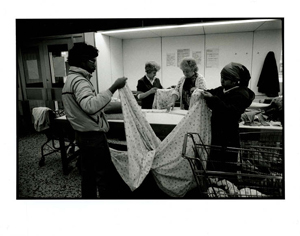 Perhaps more significantly, they provided an important social focus and community for many local people. 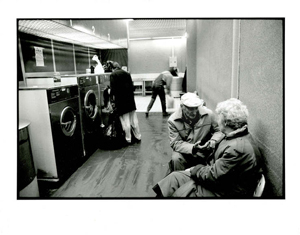 The social significance of the laundries was memorably captured in Tony Roper's well known play 'The Steamie', first performed in 1987. 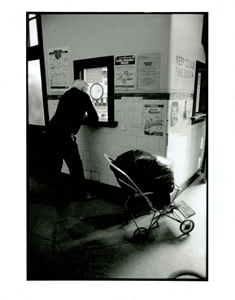 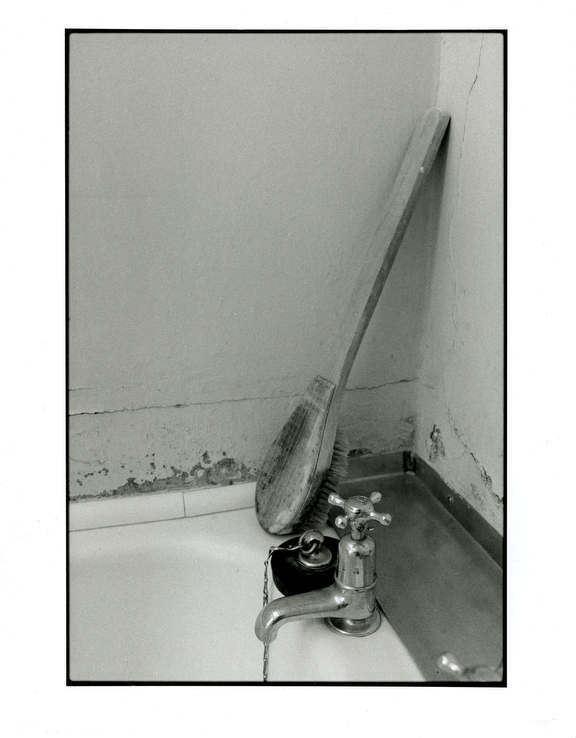 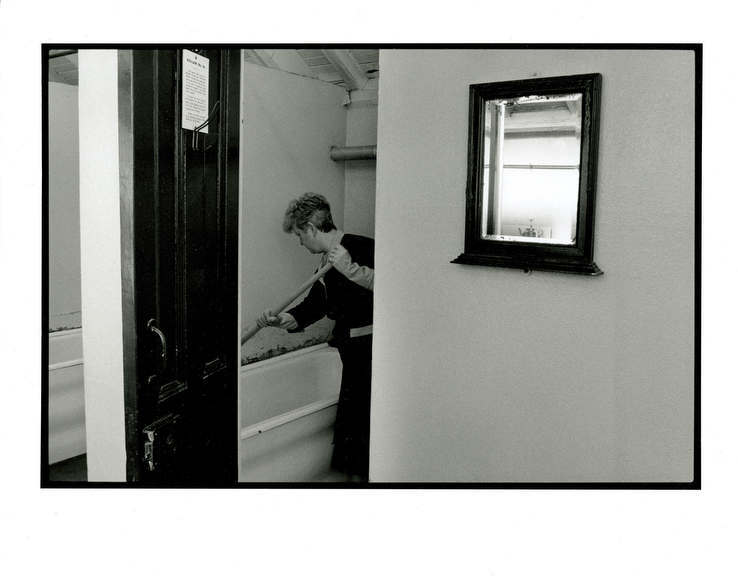 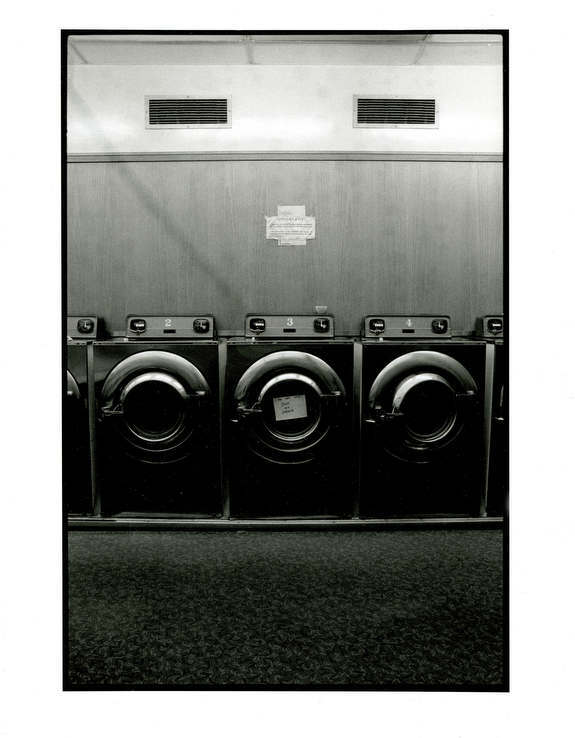 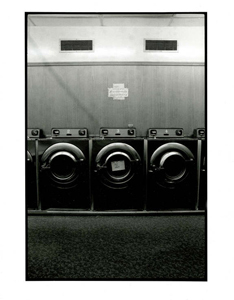 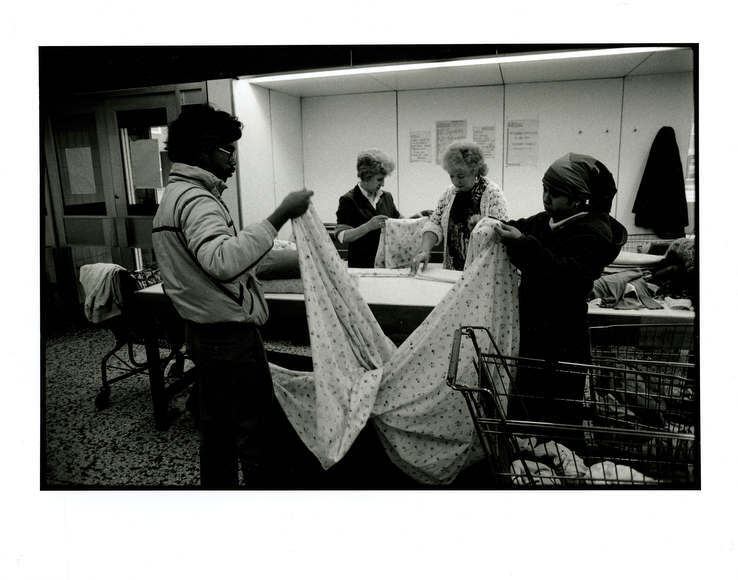 This exhibition of black and white photographs, provides an insight into the steamies of the 1980s when they were starting to head into decline as more people began to own their own washing machines. 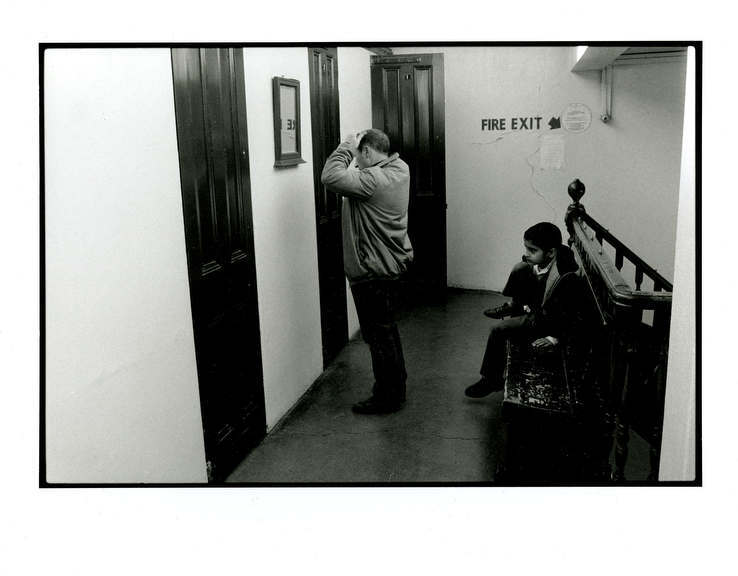 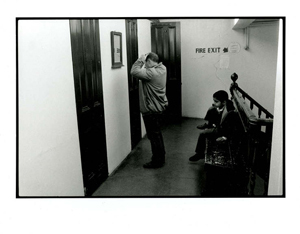 The photographs by Glasgow-based professional photographer Allan Bovill, were taken in 1986 and are of three steamies in and around Glasgow city centre - Maryhill, Reidvale, and Osborne Street, which is now home to The Modern Institute. 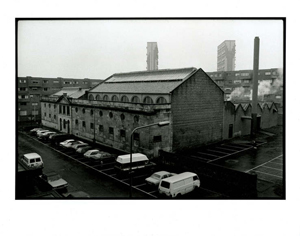 They were previously exhibited at Summerlee Museum of Scottish Industrial Life in July 2013. Allan Bovill is a qualified professional press photographer whose photographs have appeared in all major British newspapers. 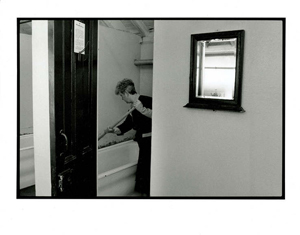 Allan undertakes a wide range of press, PR, portrait, wedding and corporate photographic assignments. He has travelled widely and this is reflected in the breadth of his work, some of which has been commissioned, but which includes many assignments of personal interest. He is based in central Scotland. 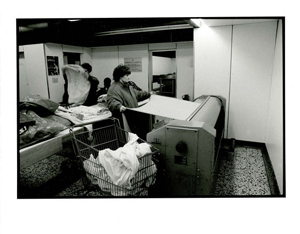 Opening times: Monday - Thursday 10am to 8pm; Friday & Saturday 10am to 5pm; Sunday 12noon to 5pm.